When you book your stay at Trade Winds Motel in Valentine, Nebraska, you will have plenty of things to do and attractions to see. Learn more about Valentine by clicking our local links below. The Niobrara National Scenic River is one of the Top 10 canoeing rivers in the United States and is only four miles from our motel. Little Outlaw Canoe and Tube Rental is right next door to our motel. Transportation from your motel room to the river is available through the outfitters. Trade Winds Motel is your "home away from home" in beautiful Valentine, Nebraska! Give us a call today at (888) 376-1601! 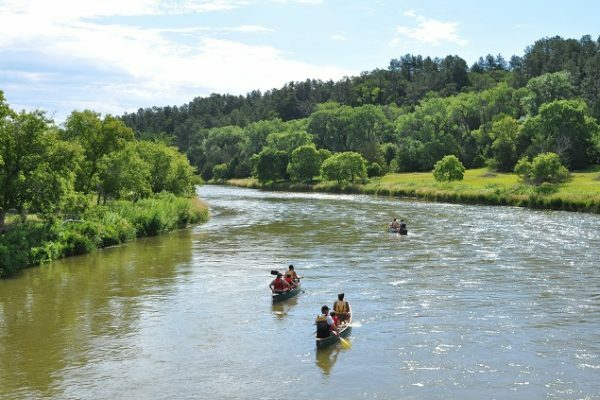 The Niobrara National Scenic River is not only Nebraska’s most popular canoeing river, but is also among the top 10 canoeing rivers in the U.S., according to Backpacker magazine. 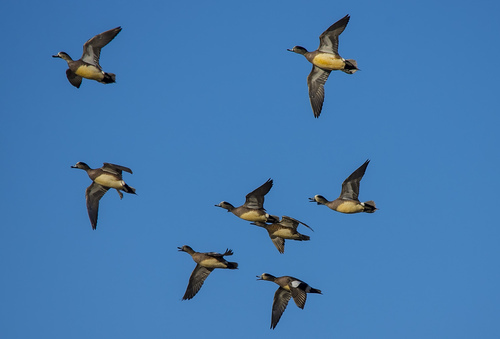 One of the state’s most beautiful birding venues is Highway 97 through the Sandhills from Valentine to North Platte. This area is perfect for catching glimpses of the sandhills crane and rare whooping crane. 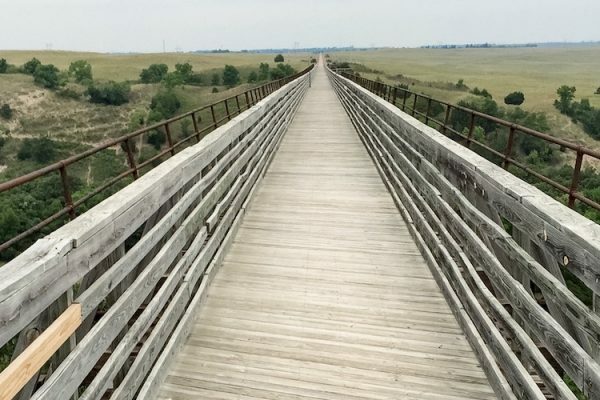 The Cowboy Trail is a “rails-to-trails” project, converting the abandoned Chicago and Northwestern Railroad route to a graveled recreation trail with wooden-decked bridges. Among Nebraska’s most spectacular waterfalls, Snake River Falls rushes over a 54-foot-wide ledge. When the Snake River is full, it rushes over the edge at a rate of 230 cubic feet per second and sprays mist across the canyon. Located in the midst of the Sandhills, Merritt Reservoir is 28 miles southwest of Valentine on Highway 97. 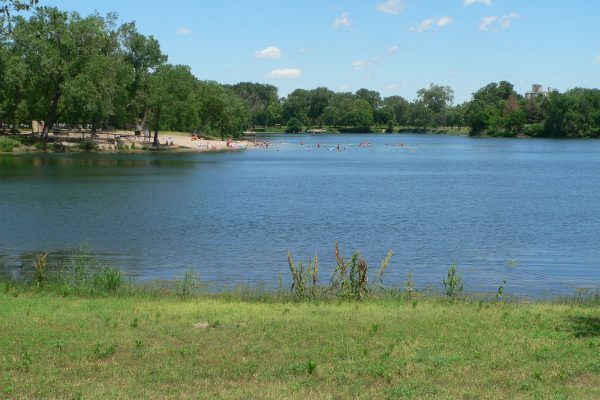 The lake has nearly 3,000 acres of water, pure sand beaches and 73 miles of tree-lined shore. 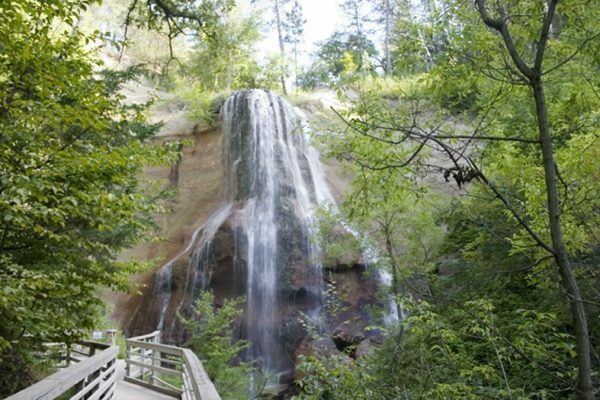 Of the Niobrara River Valley’s many waterfalls, the tallest is Smith Falls, 15 miles northeast of Valentine on Highway 12. 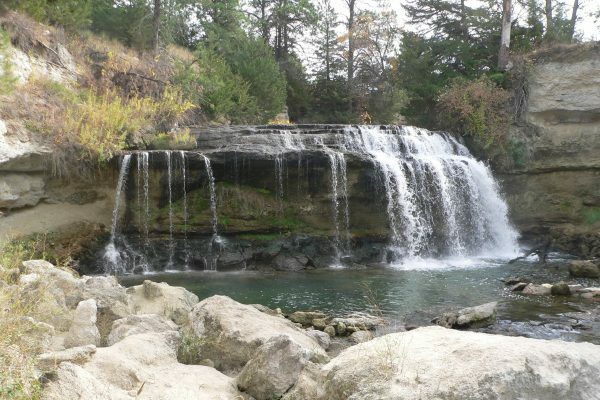 The spring-fed falls – Nebraska’s tallest, drops 70 feet and flows out to the Niobrara River. 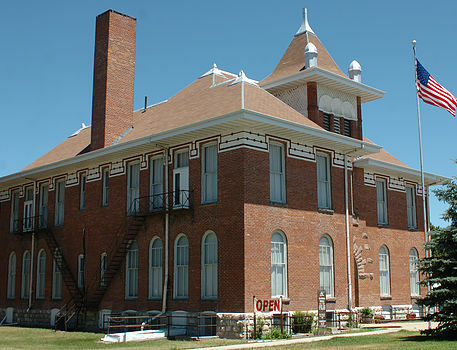 There are a number of museums in the area with displays featuring early-day cattlemen, Fort Niobrara, Native Americans, U.S. wars, and daily life of the pioneer era.